Stunning scarf featuring graphic 'eye' print in a deep cobalt blue with pink/red/navy accents. 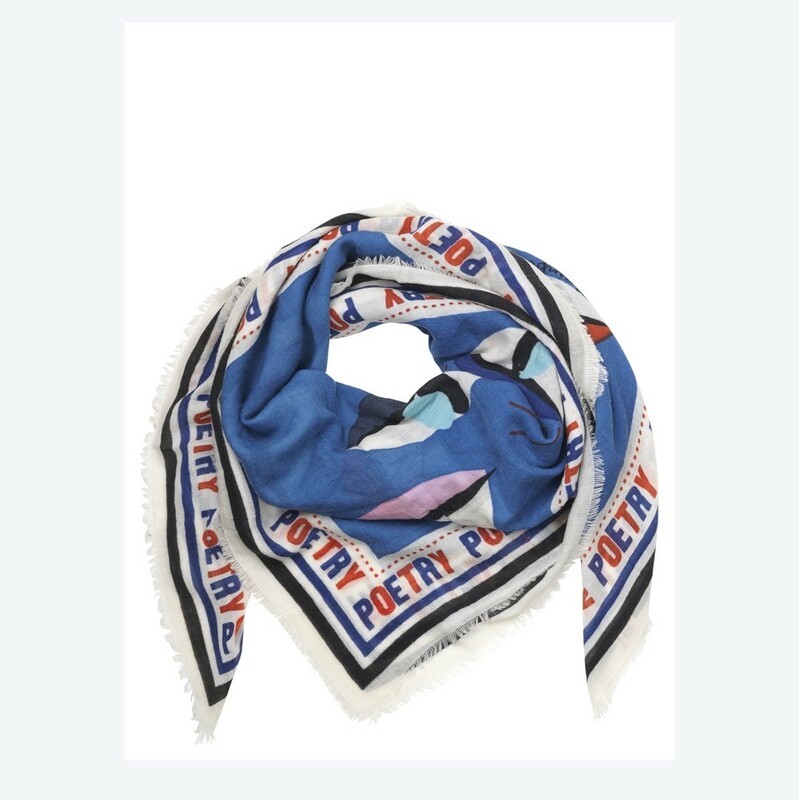 This scarf also features a wide border with the word 'poetry' repeated. Supersoft wool/cashmere blend for added luxury.